A safety survey from the Metals Service Center Institute (MSCI), Rolling Meadows, IL, reveals that incident rates among member companies have fallen, despite increased man-hours, across all company sizes. 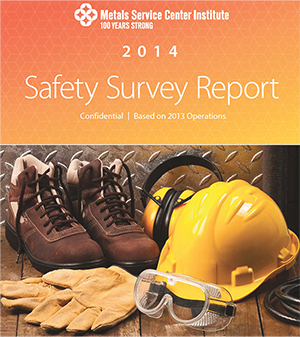 Survey respondents identified their top three safety issues or concerns: leadership/accident prevention, training and material handling and compliance. Cited as the most frequent types of injuries: lacerations, cuts and abrasions, strains and sprains, and bruises and contusions. MSCI serves more than 400 member companies operating from more than 1500 locations in the United States, Canada, Mexico and throughout the world.